Brand management might seem like a relatively new concept in our Internet-driven world, but one only has to look to classic fiction to realize that this concept has been pervasive for centuries. The truth is I’m a big Jane Austen fan. 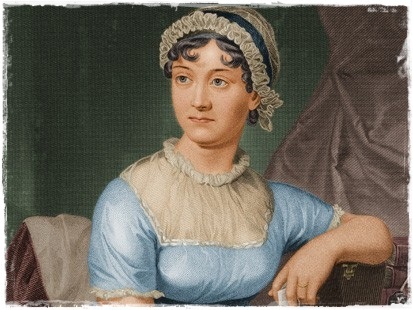 I appreciate that she wrote some pretty fantastic stories during a time when being a writer (at least for a female) was considered common, scandalous and trashy (point of fact, she didn’t even receive author credit during her life, any book by Jane was credited with being written “by a lady”). Moreover, I love that she had the amazing skill to create strong, witty and willful female characters, also during an era when having an opinion or an independent thought process (at least as a female) was quite unladylike. But I am also a fan of Ms. Austen for another reason. Whether she knew it or not at the time, she was an absolute pro in the area of brand management. At Grammar Chic, we most regularly assist in brand management as it relates to creating written content, i.e. website copy, social media posts, blog content, etc., used as part of an effective brand management campaign. Branding is about more than just what your logo looks like or what your tagline or color scheme entails; rather, it is about what people think about you or your company and how they relate to it. Your reputation, and what people think of you, matters. Your character, as a person or a company, is all you have, so value and protect this above all else. Austen example: pretty much the premise of every book she wrote. The majority of brand management does not lie on what you put out there about yourself; rather, it is dependent on what other people say about you. Austen example: Mr. Wickham in Pride & Prejudice. Keeping #2 in mind, realize that communication still matters and you have the power to make sure you are presenting information accurately and effectively to others. Make sure your brand management efforts tell an accurate story. Austen example: Mr. Darcy in Pride & Prejudice. Know what other people are saying about you, good or bad. Remember that even a positive inaccuracy has the ability to hurt you. Austen example: Catherine Morland and General Tilney in Northanger Abbey. Stay true to your brand and its foundation, even if it might not seem cool or popular. Austen example: Fanny in Mansfield Park. Don’t promote elements about your brand that cannot be sustained. Whatever you put out there about yourself or your company is something that you will have to live with, so make sure what you are promoting has the ability to grow with you. Austen example: Marianne in Sense & Sensibility. Moving a brand up market is hard, time consuming and requires a lot of exposure and consistency. Austen example: Jane and Elizabeth Bennett in Pride & Prejudice. A loss in brand reputation based on a bad choice or improper judgment could be irretrievable with your targeted audience. Austen example: Lydia in Pride & Prejudice. Keeping #8 forefront, know that it is possible to sometimes make amends for a lapse in judgment or breach in trust. However, this is only possible if you have some pretty significant equity as a brand and if you are truly sincere in how you address a problem. Austen example: Emma Woodhouse in Emma. Thank you for liking the post Ally! I certainly appreciate it! This post was actually purchased for publication in Jane Austen’s Regency World Magazine…the official magazine of the Jane Austen fan club. Kind of exciting! That is exciting. Good for you.